Vladivostok [Владивосток]. A city (2018 pop 604,901) on the Pacific coast, and the administrative center of Primore krai in the Russian Federation. It is the eastern terminal of the Trans-Siberian Railway and an important commercial and naval port on Zolotoi Rog Bay. Its growth was spurred by the building of the railway: its population rose from 66,000 in 1914 to 108,000 in 1926 and 206,000 in 1939. 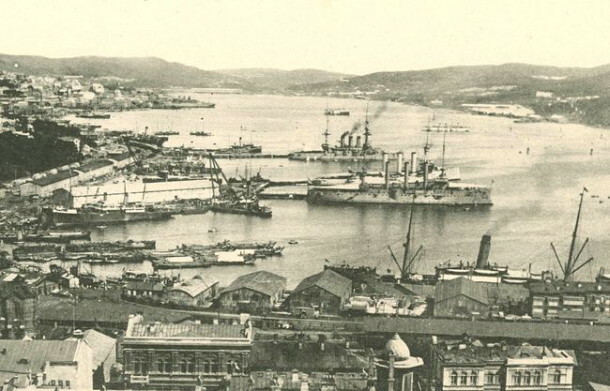 A Ukrainian colony existed in Vladivostok from its very beginning (1860) and by 1914 exceeded 2,000. In 1907–8 a Ukrainian student hromada was organized at the Oriental Institute. There was also a clandestine Ukrainian political circle in the city. With the outbreak of the Revolution of 1917 Vladivostok became a center of the Ukrainian movement in the Far East. At the beginning of 1917 a local hromada, with over 1,500 members, sprang up. In the next three years a Prosvita society, the Ukrainska Khata club, the Ukrainian Colony, and the Union of Oil and Telegraph Workers were founded. 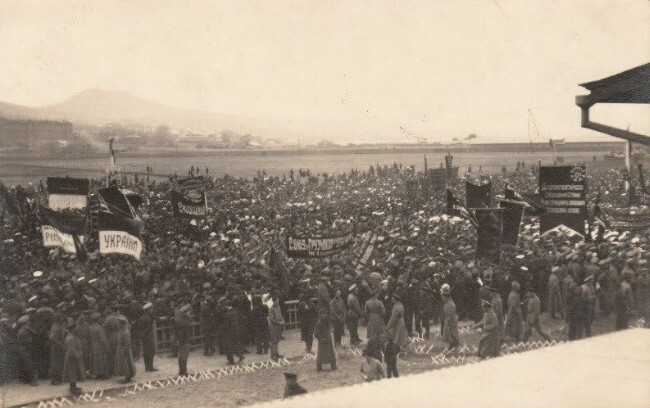 The Far Eastern Territorial Council established its secretariat in Vladivostok and held its third congress there in November 1920 (see Far Eastern Ukrainian congresses). 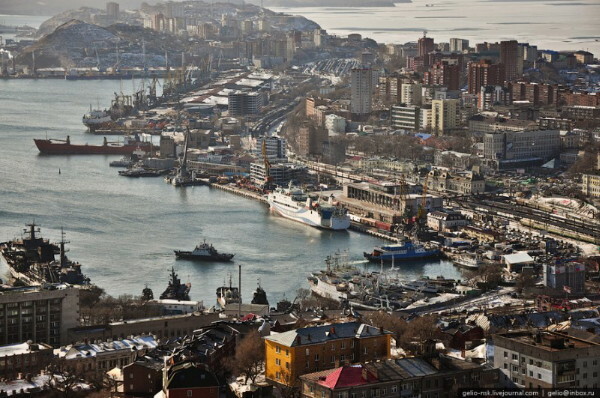 The city was the seat of the Vladivostok Okrug Council. The weekly Ukraïnets’ na Zelenomu klyni and the daily Shchyre slovo came out in the city. When the Soviets occupied Vladivostok in 1922, Ukrainian political organizations were suppressed. According to the 1926 census there were 6,000 Ukrainians in the city. According to the official 2010 census, Ukrainians in Vladivostok numbered 10,474 and constituted 1.8 percent of the city’s population.